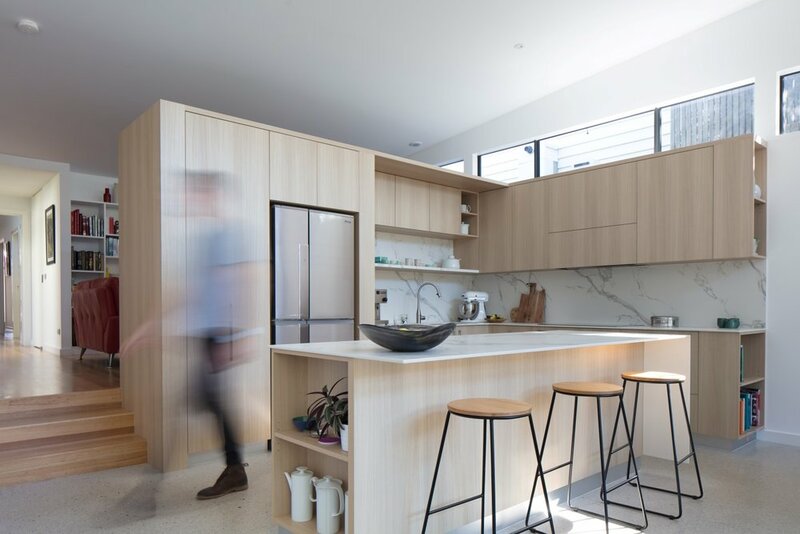 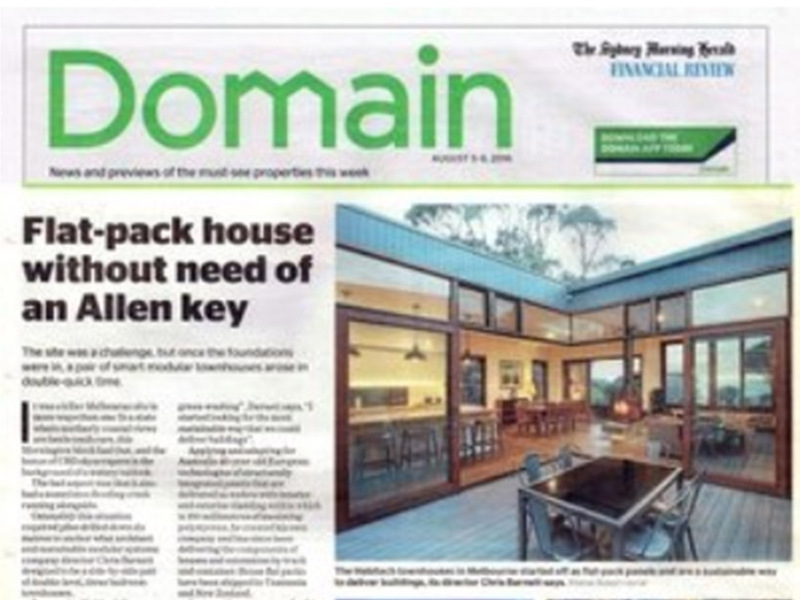 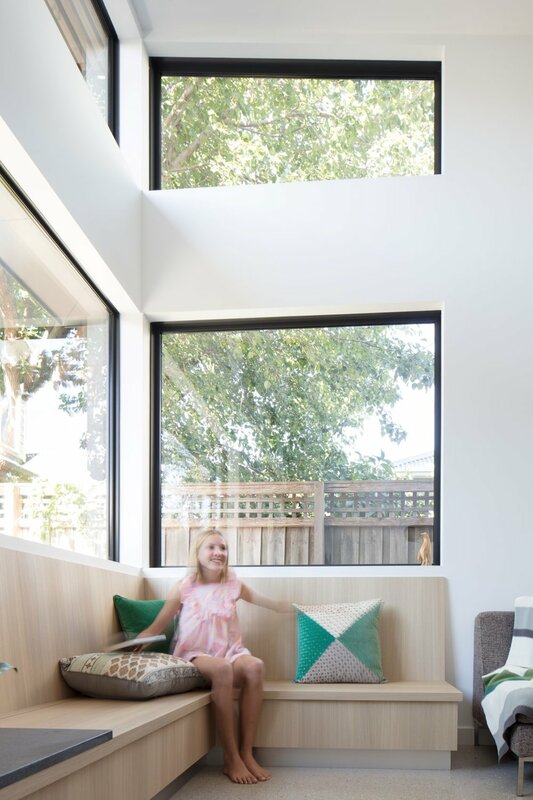 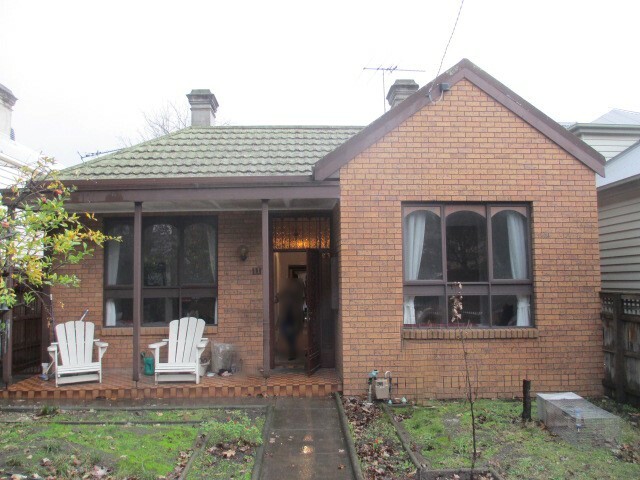 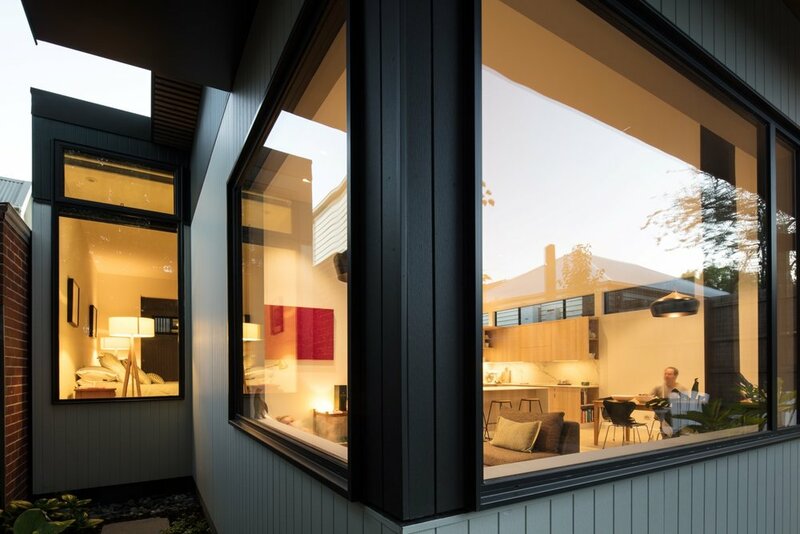 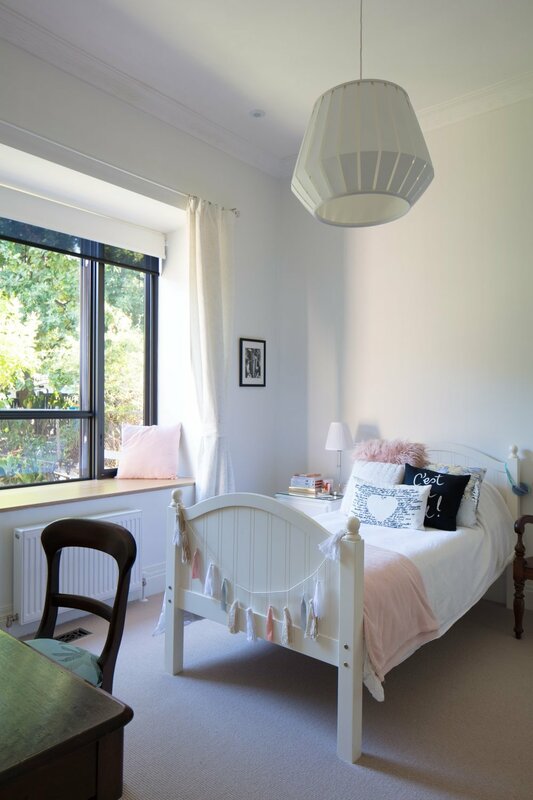 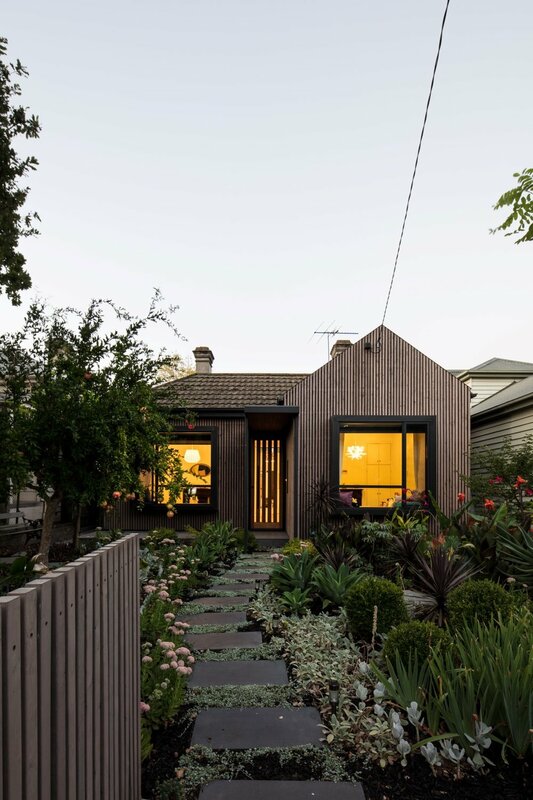 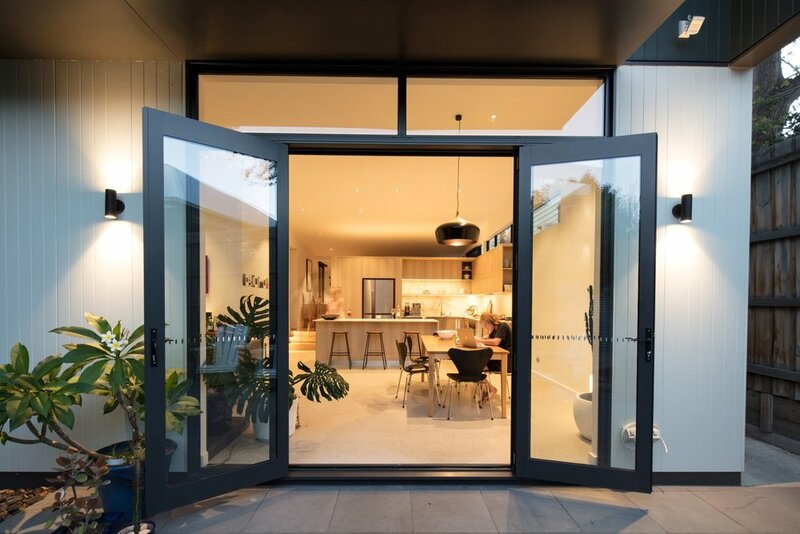 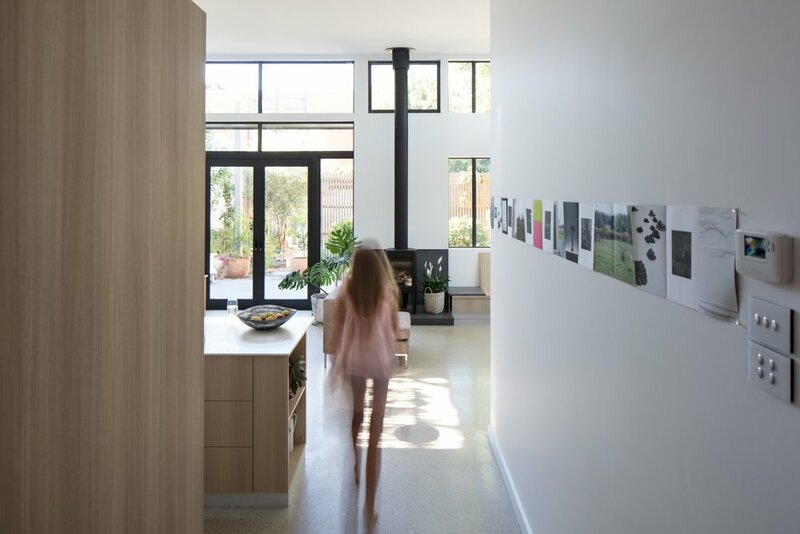 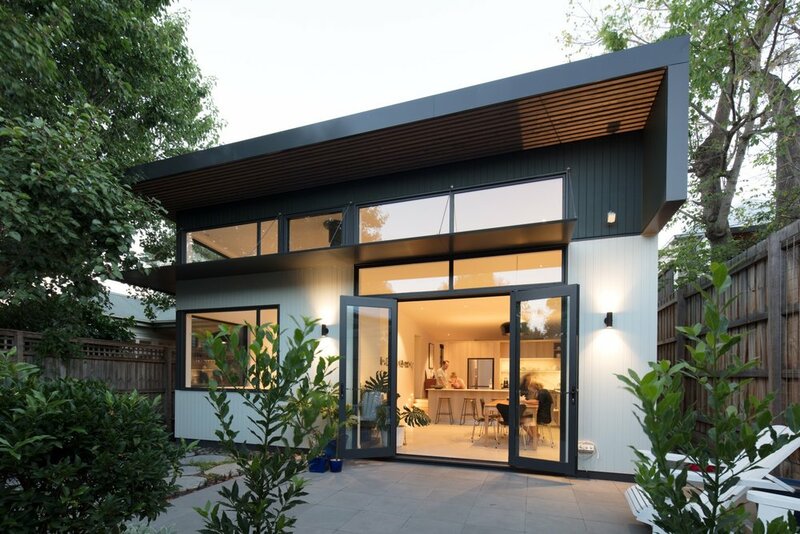 The Hawthorn Reimagined extension is a project to rejuvenate an original Victorian cottage and bring it up to modern, high performing standards. 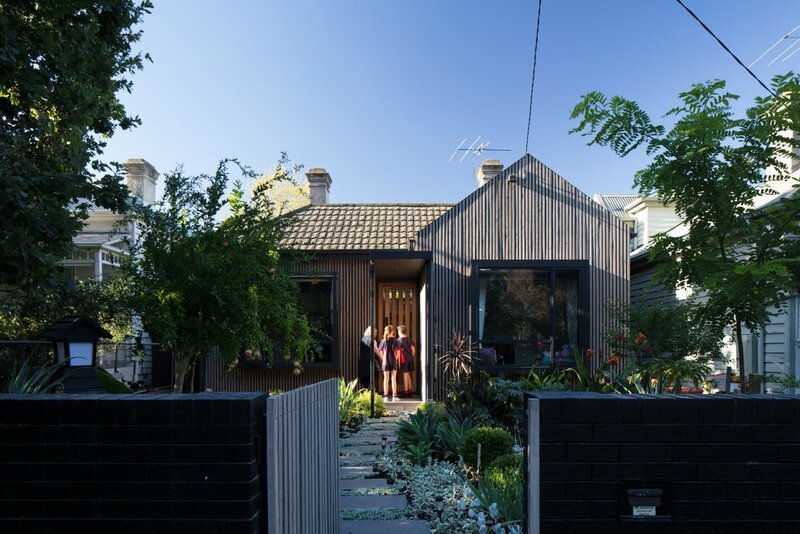 The Hawthorn Reimagined Extension will receive a fresh new street façade, with naturally oiled Cyprus timber battening over the existing brick frontage. 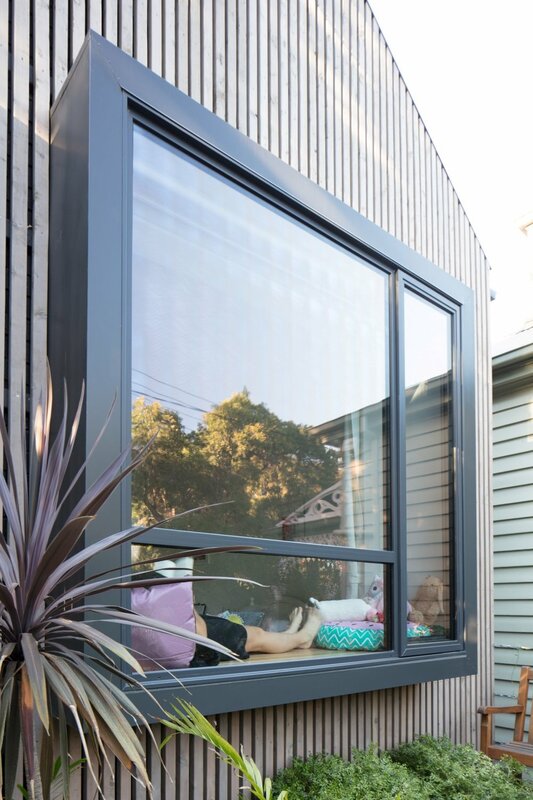 The front veranda will also be modernised with a sharp new porch entry, and the kid’s bedrooms have metal clad box-bay window seats from which to enjoy the large front garden.